The Best Asthma blogs from thousands of top Asthma blogs in our index using search and social metrics. Data will be refreshed once a week. Asthma newsletter is a comprehensive summary of the day's most important blog posts and news articles from the best Asthma websites on the web, and delivered to your email inbox each morning. To subscribe, simply provide us with your email address. About Blog Asthma patient resources including symptoms, diagnosis, treatment, community, expert answers and daily articles. Facebook fans 28,979. Twitter followers 138. Washington, DC About Blog The Asthma and Allergy Foundation of America is the oldest and largest patient advocacy group dedicated to patients with asthma and allergies. Facebook fans 142,825. Twitter followers 7,883. About Blog Whether you have questions relating to asthma or simply wish to talk, this community is for you. Facebook fans 1,137,142. Twitter followers 500,317. Louisville, KY About Blog Family Allergy & Asthma is a leading group of board-certified allergists practicing at more than 20 locations throughout Kentucky and Southern Indiana. We recognize that patients come to us because of the limitations placed on them due to their allergic or asthmatic conditions. It is our goal to remove these limitations, to the greatest possible extent, and to give patients their lives back. Facebook fans 3,975. Twitter followers 940. Philadelphia, PA About Blog Allergy and Asthma blog with allergy news for Philadelphia, South Jersey by top allergists. Delaware Valley's official pollen, ragweed and mold counts. Facebook fans 2,244. Twitter followers 182. Atlanta, GA About Blog Blog from Atlanta's Top Docs in Allergy. Great tips for surviving and thriving with your allergy or asthma. Facebook fans 4,695. Twitter followers 174. Fort Lauderdale, Florida About Blog Allergy, Asthma and Immunology News Updated Daily by Board-certified Allergists and Assistant Professors at University of Chicago and NSU. Facebook fans 1,768. Twitter followers 4,485. Australia About Blog Ann Wu is a doctor, mother, and asthma researcher at Harvard Medical School who uses this blog to share information about treatments, research, and more. She breaks down complex medical studies so that their findings are more digestible for other parents, puts a spotlight on the biggest gaps in research and overall medical knowledge pertaining to asthma, and shares helpful and informative links. Facebook fans 21,704. Twitter followers 2,913. California, USA About Blog Read the latest blogs for allergies, asthma and sinusitis. Get up-to-date news and tips from Allergy Asthma Sinusitis Medical Clinic in USA. Facebook fans 124. Twitter followers 368. Facebook fans 257. Twitter followers 621. About Blog There is no name.... what do you call the uncontrollable which doesn't fit the textbook. Sharing my life of living with difficult asthma, triumphs, failures and all that goes with it! This blog is for awareness of asthma but also to reflect on how I cope with my asthma and living a normal life and dealing with difficult situations. Blog by Olivia Fulton. Chicago, IL About Blog The Leader in advanced care for allergy, asthma & sinus problems. Facebook fans 257. Twitter followers 113. 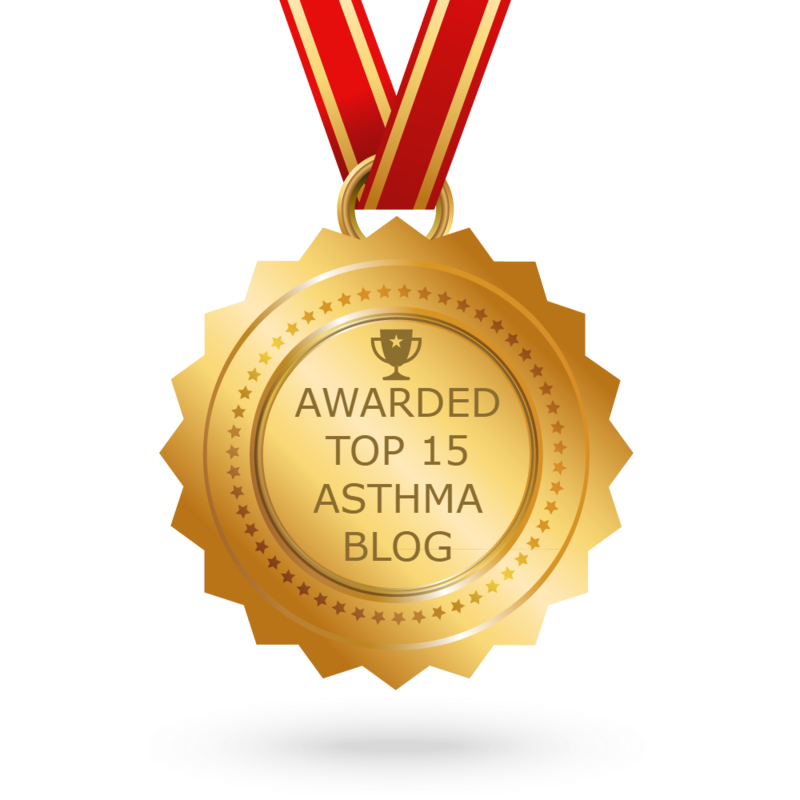 CONGRATULATIONS to every blogger that has made this Top Asthma blogs list! This is the most comprehensive list of best Asthma blogs on the internet and I’m honoured to have you as part of this! I personally give you a high-five and want to thank you for your contribution to this world.